The transition to retirement living in Mississauga or in your locale requires careful research. There are financial and care considerations, as well as the rental agreement or Care Home Information Package to examine before you can move in and enjoy your new living arrangement. In order to better ensure you pick the right living arrangement and one that is matched to your needs and finances, when preparing to make the move to a retirement home in Mississauga or in any city, it is highly advisable to keep at least some of the following in mind. It can be uncomfortable to discuss finances, but you should make the effort when considering a retirement home. One of the best tools for understanding the costs of a prospective retirement living arrangement is the Care Home Information Package (CHIP). A CHIP is a form of information packet that must be provided to you before you sign a tenancy agreement. A CHIP will contain information about services, care, and fees, both optional and mandatory. It also gives information like staff qualifications, types of rental units, and the minimum number of staff that must be on-site at any given time. The CHIP is an extremely useful source of information and should be consulted before signing anything. Another consideration is your ability to pay rent over the long term. Inflation will naturally see rent payments increase annually, but providers are able to raise service fees more often, provided they give at least 90 days notice. The exception to this is if a tenancy contract sets service fees at a specific amount—the contract takes precedence until the stated duration expires. You can also speak to retirement home staff (or even other residents) about how frequently fees increase and by how much. This can give you an idea of whether the home is something you can afford in the long term. However if the services a resident needs begin to increase and the related costs become onerous, a long term care home should be sought. 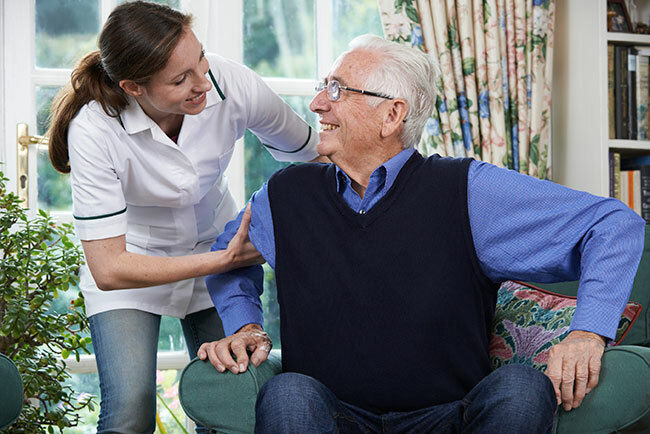 While some retirement homes offer certain care options, they are not expected or required to provide for assistive needs or medical aid beyond what is specified in the CHIP. So, if your situation changes and your medical or assistive care needs outgrow what the retirement home is able to provide, you may be asked to leave. Take an honest look at your personal situation and evaluate whether the retirement home meets your care needs. TheCareGuide.com has been an online repository of information and guidance source for seniors and their families that has been providing insights into elder care and housing solutions since 1996. Our guide can be used to help determine the best assisted-living community options for you or your loved ones. More information and advice on senior living solutions can be found by contacting us at 1-800-311-CARE (2273) or info@thecareguide.com.